Reference. Guitar Reference. 4 pages. Centerstream Publications #022. Published by Centerstream Publications (HL.5). 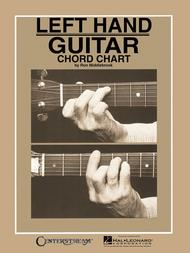 Printed on durable card stock, this 'first-of-a-kind' guitar chord chart displays all forms of major and minor chords in two forms, beginner and advanced.